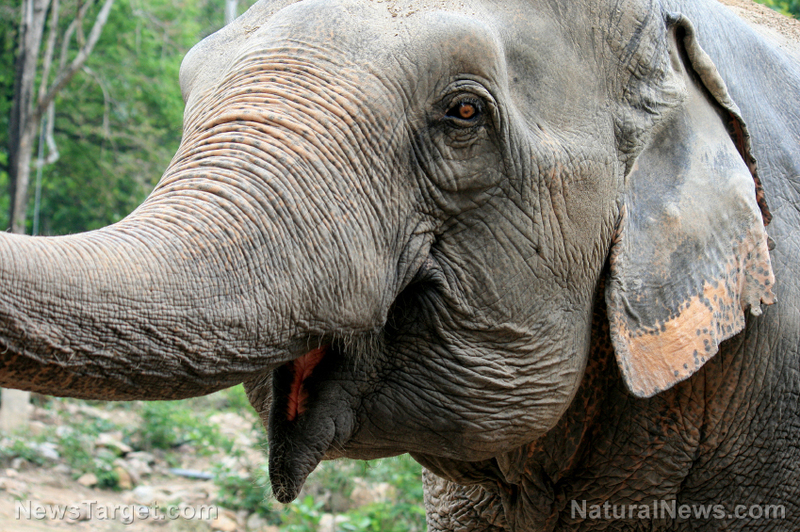 (Natural News) An Argentinian hunter has recently been attacked and killed by an elephant at a private game farm in Namibia, PJ Media reported online. According to the report, Jose Monzalvez and four other trophy hunters traveled to the private game farm in pursuit of elephants. The report noted that the hunting party was tracking an elephant herd and was deciding on the best vantage point to shoot when one of the animals noticed them. The elephant reportedly barreled towards the hunter, who subsequently ran for safety. The elephant eventually caught up with the hunting team and savagely trampled Monzalvez to death. Monzalvez had the proper permit to hunt elephants in Africa. He used to work for a Brazilian oil company. Monzalvez’s case was not the first time an elephant has attacked its hunter. In fact, data showed that approximately 500 people are killed by elephants each year. Just this June, South African big game hunter Theunis Botha, 51, died when an elephant cow collapsed on top of him after being shot. According to a report by The Telegraph, Botha was leading a hunt with clients at the Good Luck Farm near Hwange National Park in Zimbabwe when the team accidentally walked into the middle of a breeding herb of elephants. The report said one of the hunters shot the elephant after she lifted Mr. Botha with her trunk. The animal collapsed on top of Botha. Botha was an esteemed houndsman and was credited for bringing the traditional European-style Monteria hunts in South Africa. He had five children with his wife Carike Botha. Last year, a tourist named Stephen Coetzee was also trampled to death by a female elephant in the same park. Mr. Coetzee was reportedly taking pictures of the animals when they charged. Locals of the Hwange village and surrounding areas have long been complaining about losing livestock and crops to elephants that roam the area. Other reports on animal attacks have also been well documented in the previous years. Just this May, seasoned archer and hunter Richard Wesley was reportedly attacked by a black bear while out hunting with a bow and arrow near Five River, Ontario. The scenario was captured on a GoPro camera where Wesley can be seen loading an arrow as the animal approaches him. The archer dropped the camera but sounds of the struggle between the animal and the hunter could still be heard. After a few seconds into the video, the hunter can be seen eventually recovering the camera while cursing and fleeing the scene. In April this year, hunter Scott Van Zyl was killed on the banks of Limpopo river in South Africa. Sakkie Louwrens, director of a South-African crime-fighting NGO, said that Zyl went missing during a hunting trip on the Zimbabwe-South Africa border with a local tracker and a pack of dogs. The search-and-rescue operation was initiated when one of Zyl’s dogs returned to the camp without him. “Permission was given for three Nile crocodiles in the area to be shot, and one of them contained Mr Van Zyl’s remains. Subsequent DNA tests have proved the remains to be those of Mr Van Zyl,” Mr. Louwrens told BBC.com. However, the conservation group One Green Planet was more indifferent towards Zyl’s demise. “[He] shouldn’t have been hunting in the first place. Animals in the wild… are wild! They are living, thinking beings with instincts for survival,” a One Green Planet statement read.